The eI4Africa and iMENTORS partnerships are very pleased to welcome a new associated organisation to the eI4Africa/iMentors joint conference on the theme “e-Infrastructures for Africa: Gateways to the Future” that will take place on October 29, 2014, in Brussels, Belgium, at Hotel Bloom. Click here to register! The work of the individual FTTH Council’s is funded through member contributions, and the FCGA has more than 550 individual member companies, all equally passionate about FTTH. · A community of interested participants built through a variety of dissemination activities in different countries and through collaboration with other projects. The eI4Africa and iMENTORS partnerships are very pleased to welcome a new associated organisation to the eI4Africa/iMentors joint conference on the theme “e-Infrastructures for Africa: Gateways to the Future” that will take place on October 29, 2014, in Brussels, Belgium, at Hotel Bloom. AfricaConnect project aims to establish a high-capacity Internet network for research and education in Southern and Eastern Africa to provide the region with a gateway to global research collaboration. AfricaConnect builds on the roadmap prepared by the FEAST study. The project, which lasts four years, began in May 2011, and consists of two phases, the first of which is for the planning and procurement of the network, and the second is its operation. 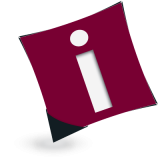 Have you used the iMENTORS opendata service and would like to share the news on your homepage? The New Partnership for Africa’s Development (NEPAD), an African Union strategic framework for pan-African socio-economic development, is both a vision and a policy framework for Africa in the twenty-first century. NEPAD is a radically new intervention, spearheaded by African leaders, to address critical challenges facing the continent: poverty, development and Africa’s marginalisation internationally. Arab States Research and Education Network (ASREN) is the association of the Arab region National Research and Education Networks (NRENs), as well as their strategic partners, that aims to implement, manage and extend sustainable Pan-Arab e-Infrastructures dedicated for the Research and Education communities and to boost scientific research and cooperation in member countries through the provision of world-class e-infrastructures and e-services. Over 100 European and African key stakeholders in the field (from Institutions, National and International Companies, SMEs, Academia, Research institutes, etc.) coming from all over Europe and Africa will attend the event. Registrations (free of charge) are now open! Encourage more and better bi-regional STI cooperation for enhanced outcomes around topics of mutual interest, and particularly in relation to the global societal challenges of climate change, food security and health. Foster discussion among stakeholders for gathering informed opinion and experience about the bi-regional cooperation process, formulating and disseminating it in such a way as to be admissible to the formal bi-regional STI policy dialogue process and to programme owners. The AFRICA BUILD (http://africabuild.eu) is a Coordination Action aiming to support and develop advanced Centres of Excellence in health care, education and research in the African countries, through Information Technologies. This project is supported by the EU's Seventh Framework Programme (FP7-ICT). AFRICA BUILD started 1st August 2011 and will run for a period of 36 months. agINFRA is an Integrated Infrastructure Initiative (I3) project that is pioneering the connection of Agricultural Data through an Open and Participatory Data Infrastructure. In particular, the project aims to design and develop a scientific data infrastructure for agricultural sciences that will facilitate the development of policies and the deployment of services that will promote sharing of data among agricultural scientists and develop trust within and among their communities. The agINFRA Vision White Paper summarises the project’s vision as follows: “To develop a shared infrastructure and computationally empowered services for agricultural research data that allow for producing and transferring scientific and technological results into effective agricultural practice. A key element is achieving a higher level of interoperability between agricultural and other data resources”. Authors are invited to submit 500 word abstracts for presentation at UbuntuNet-Connect 2014, the 7th Annual Conference of the UbuntuNet Alliance. The UbuntuNet-Connect series of conferences has been held for the past 6 years and is regarded as one of the premier conferences in Africa. This year the conference will take place from 13 to 14 November 2014 in Lusaka, Zambia and will be hosted by Zambia Research and Education Network (ZAMREN), the NREN of Zambia.